Pretty much all of us know of the Arthurian legends. Whether it's because we've read the classic tales, seen the musical Camelot, or simply watched Monty Python and the Holy Grail, you know about the knights of the round table and the adventures they go on. Well, Arthur Lives! lets you play those classic characters but in a modern setting. The knights have been reincarnated in modern times. But why? That's what you must find out. The 2nd edition of the game is up on Kickstarter now. 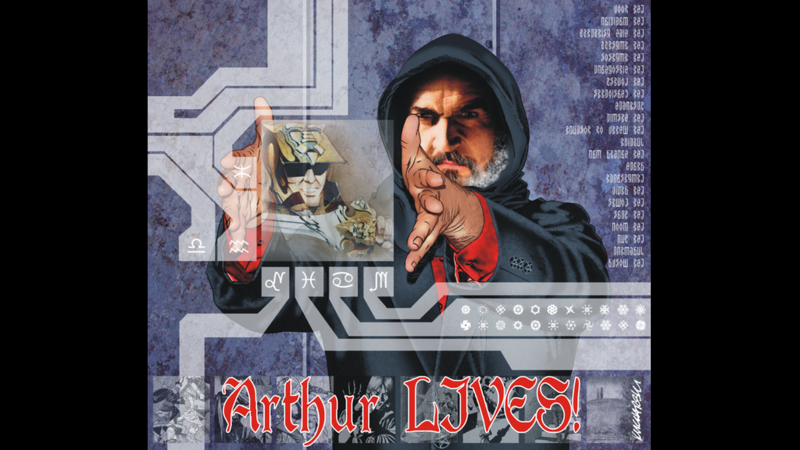 Arthur Lives! is a roleplaying game of supernatural adventure, conspiratorial intrigue, and occult mystery using the Fate Core system. Heroes and villains from Arthurian myth have been reincarnated, coming back to life in the cinematic present. At first, these individuals don’t remember their former lives, but as they begin to recognize each other, old feuds and tragic affairs resurface. Why has the King returned now? Does some unseen danger threaten? And if the answer is yes, will these legendary heroes be able to put their old grievances aside long enough to oppose it? The Kickstarter is getting rather close to their funding goal, and they've got 11 days left to get there.